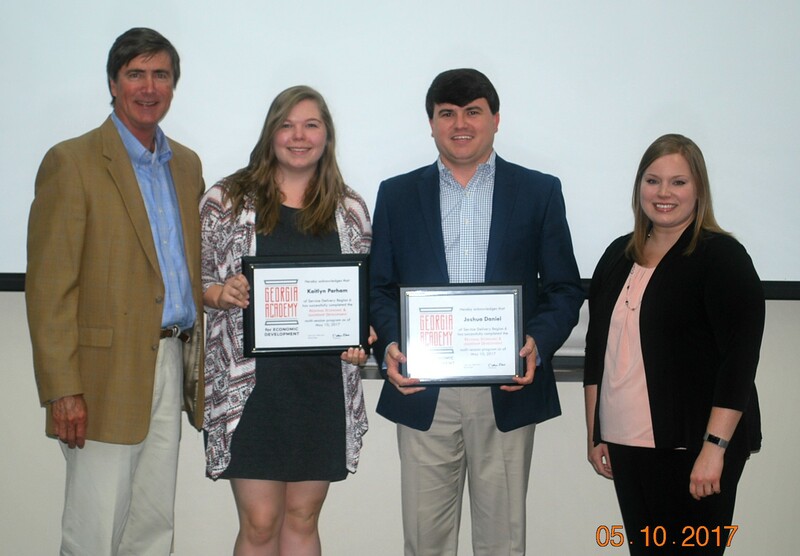 The Board of the Georgia Academy for Economic Development announces Putnam County graduates from the 2017 Region 6 Multi-Day Training Program. Class participants represented a number of professional and non-professional economic development fields, including elected officials, public servants, business leaders, educators, and social service providers from 10 counties in Middle Georgia. The Academy provided each of the graduates an opportunity to gain a unique understanding of the complexities of economic and community development on the local, regional, and state levels. Putnam County graduates at the May 10, 2017, ceremony included: Kaitlyn Parham and Joshua Daniel. Also pictured are class facilitators Jim Lovett (GA Power) and Araina Reaves (GA EMC). 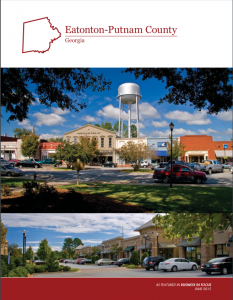 The next Region 6 Georgia Academy for Economic Development will begin in February 2018. For more information on this, please contact Tonya Mole at 404-852-6876 or by email at tonya.mole@dca.ga.gov.